Often times they're called members of the arts and crafts department, but what can marketers do to get rid of this stigma and be taken seriously at their companies? Doug and Mike discuss what a valuable marketer looks like, and how they can make themselves relevant. 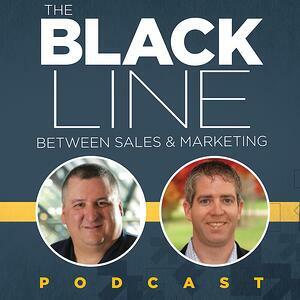 It started with a heated argument on what marketers can do to be successful. While Mike believes that they need to have technical knowledge, Doug makes the case that marketers are too hung up on tactics and technology. At the end of the day, marketers need to be focused on the customer's needs. Marketers today have become too obsessed with metrics, algorithms, and technology. After all, if marketers were good at what they did, they wouldn't have to worry about click rates, open rates, and vanity metrics. The key is learning about the customer. A marketer that knows how customers and revenue is created is infinitely more valuable than one who can take advantage of a google algorithm or optimize email deliverability. Doug says, "I'd rather have a marketer read their customer's trade journal than something on marketing proficiency." Marketers have lost sight of what really matters, the customer. The number one thing they can do to bring more to the table is regain their focus on the way customers are created and delighted.